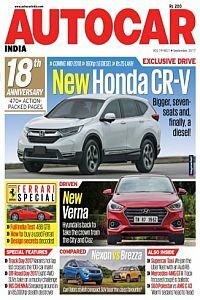 The exciting world of cars, brought alive in Autocar India’s engaging stories and features, has made it a ‘must-read’ magazine for anyone interested in cars. Autocar India’s exhaustive and authoritative road tests, true to the heritage of its parent title, are the best in the business. Over the years, Autocar India has grown from being just a car magazine to a comprehensive ‘car expert’ brand. Autocar India is, by far, India’s best-selling car magazine with a readership that is more than double its nearest rival. But it’s not numbers alone that make Autocar India the country’s best car magazine. Since its first issue back in September 1999, it has regularly been the first with the news and has earned an enviable reputation for breaking stories before any other media.